Please choose your adventure criteria. 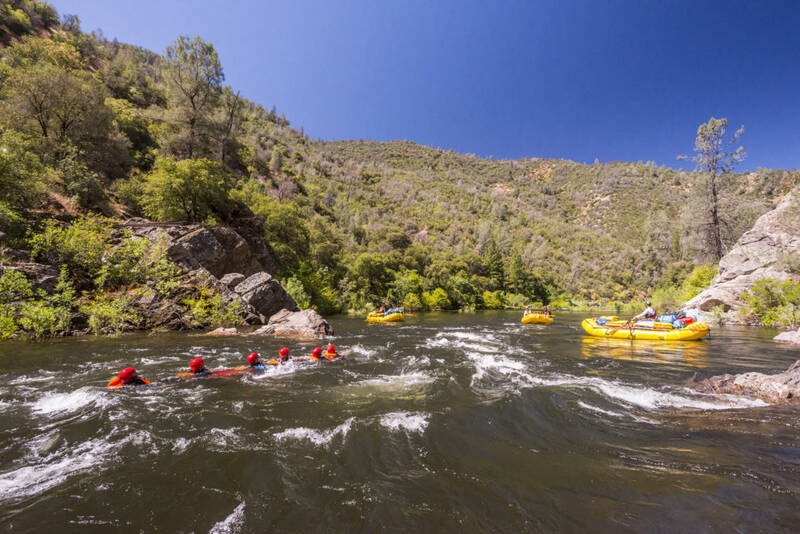 The Tuolumne River, located just outside Yosemite National Park, offers an adventurous getaway with cool hikes up side canyons carved by cascading waterfalls. Its pristine headwaters originate in Yosemite National Park, then surge through eighteen miles of non-stop rapids. 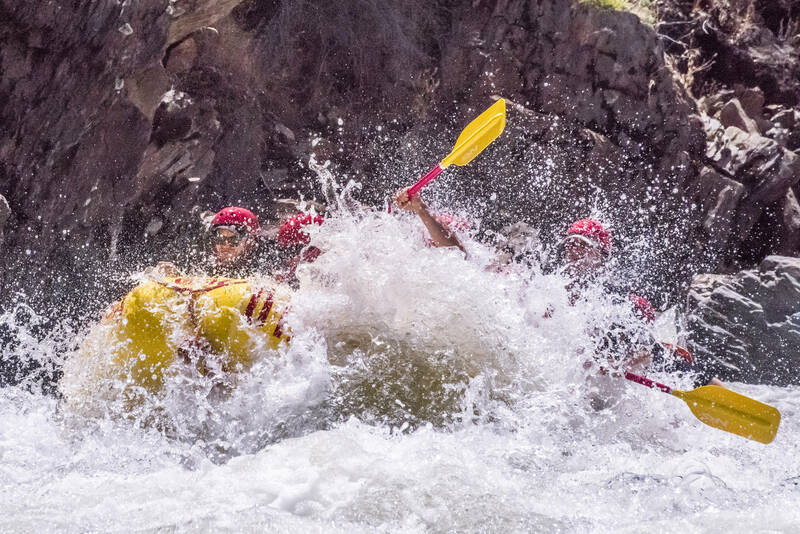 If you are wanting a superb river trip, but don’t have time for one of our longer trips, this will offer plenty of thrills, gorgeous campsites and wonderful people to share your adventure with you. 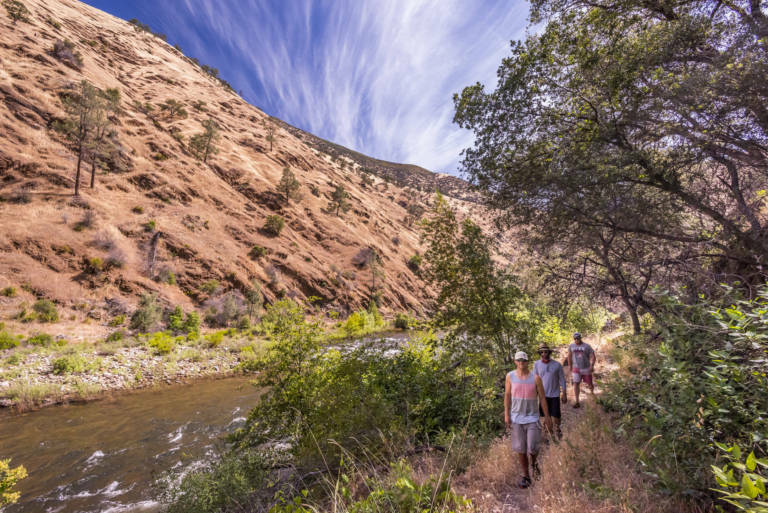 The area offers a many options for exploring, from taking a swim in the gorgeous Rainbow Pools to exploring the hiking in Yosemite National Park. Whilst on the river, you’ll be treated to fine cuisine and be well looking after by your knowledgeable guides. Arrival into Groveland. 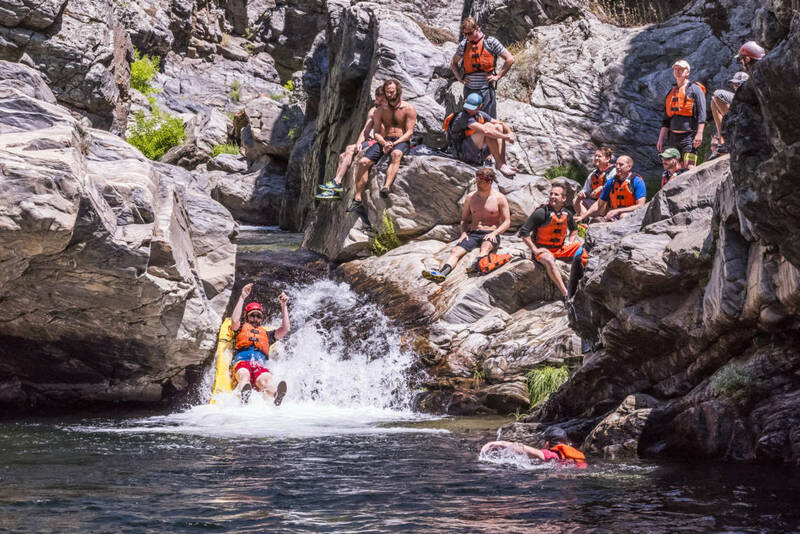 Why not visit Yosemite National Park or take an outing to Rainbow Pool (a great local swimmin’ hole) for a memorable, lazy afternoon. a delicious picnic lunch at a sandy beach, before carrying on through the rapids. Enjoy the clarity of the big star filled sky at our overnight camp. 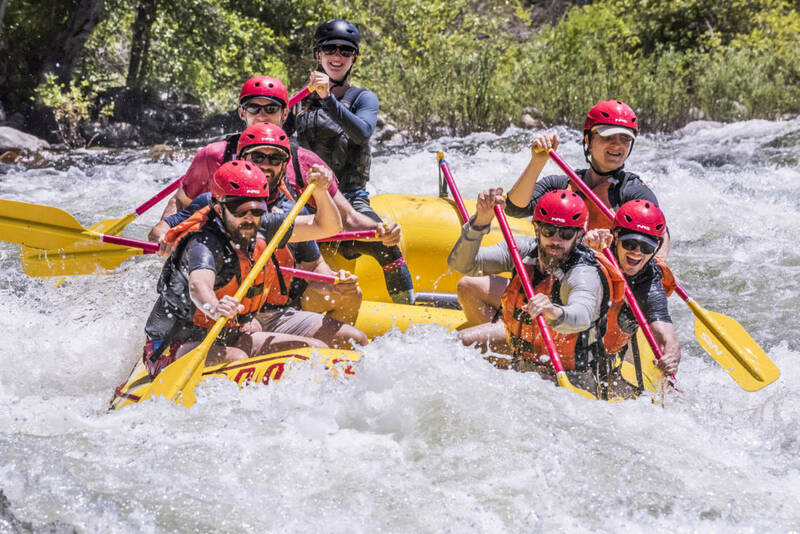 The adventure continues with exciting rapids such as Grey’s Grindstone,Thread the Needle, and Hell’s Kitchen. 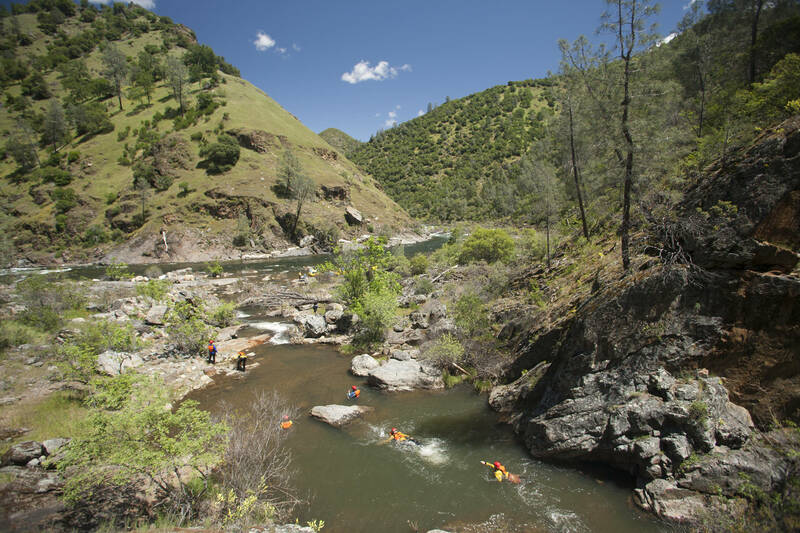 Between rapids, you’re welcome to enjoy a refreshing swim in the calm stretches of cool water. We return you back to the pick up point around 6pm for you carry on with your plans. We suggest arranging your flights directly into Sacramento (airport code SMF). You can schedule your arrival at anytime on day 1 of the itinerary and take the 2 hour drive to Groveland. 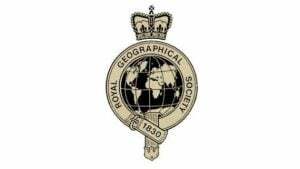 If you would like some advice please call our UK or US offices. You may want to consider using your frequent flyer miles for your adventure. There are many options for your flight to San Francisco with Virgin, BA, United Airlines or BMI. We also suggest checking on skyscanner.net for good deals. We suggest U.S. customers check with Exito Travel for a competitive quote. Please ensure you DO NOT book your flights until your trip is CONFIRMED to run, by our office. No airport transfers are provided with this trip. 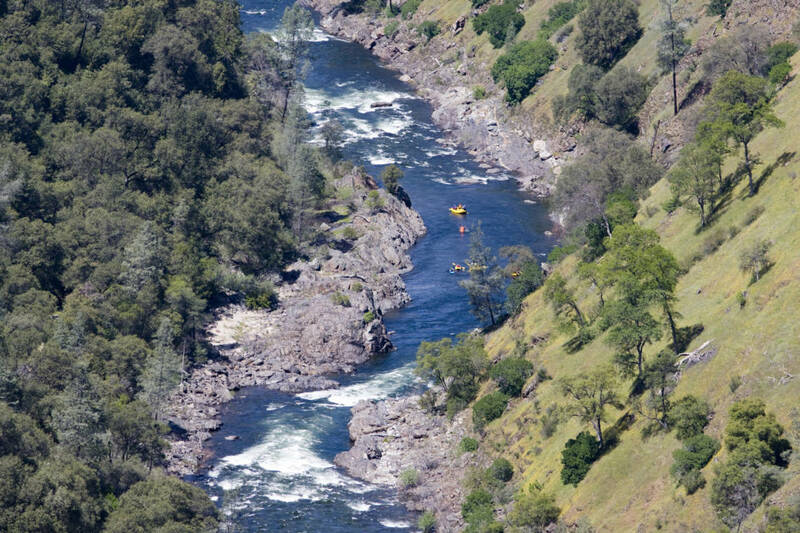 We have price and departure information about the following trips on the Tuolumne River (river prices only – flights not included). In order to secure your place pay your deposit of £400 per person (USD $600 for U.S. customers). Please note that prices shown in GBP & USD are payable. UK residents should pay in GBP and USA residents should pay in USD. See our Terms & Conditions for full payment terms. We find most of our clients have in their posession already what is needed for a river journey. 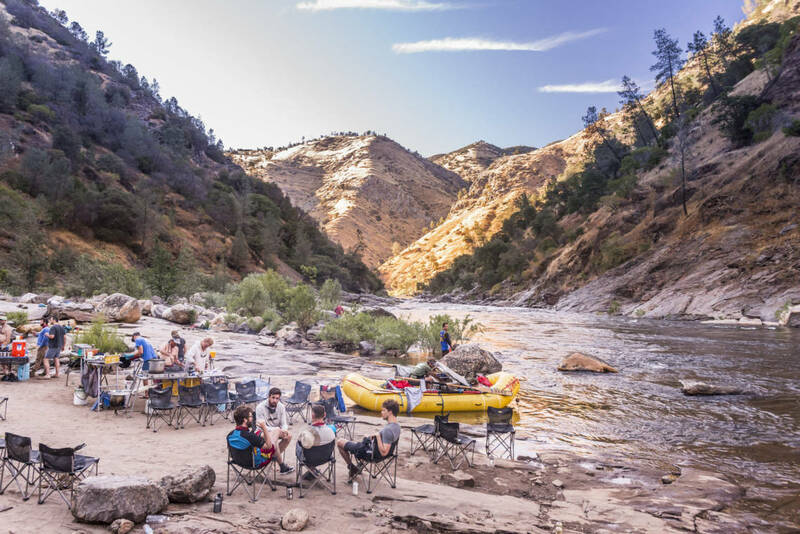 We have broken down here the items into what you’ll need on the river and in camp. An equipment list of what you will require for your adventure will be sent to you prior to your departure. Pair of river shorts (longer leg length) shorts can be purchased from our online Water Shop. Swimming costume or bikini for ladies. A rash vest (not cotton) as an alternative to the thermal layer. A baseball cap for under the helmet to keep sun off – can be purchased from our online shop. Chums for fastening your sunglasses to your head – can be purchased on line. 1 Litre Nalgene / Sigg or similar water bottle. Carabiner for fastening water bottle to your boat. Waterproof sunscreen and lip balm SPF30 minimum. Lightweight long trousers, zip off legs are ideal. Lightweight top – long sleeved shirts or t shirts. Flip flops or shoes for wearing around camp. You do not need to bring tents + sleeping mats. We provide personal flotation jackets and helmets. Forget the cosmetics and hair dryer! But we do suggest moisturizer. Hand wipes and a small bottle of hand sanitiser. Headlamp or head torch with spare batteries. Any medication you may be taking. Your favourite book/kindle or a journal for recording your river memories. Zip lock bags to keep valuables dry and sand free. The only money that you need to bring is for meals in town, souvenirs, personal items, gratuities and the beer kitty for the raft trip if you drink. 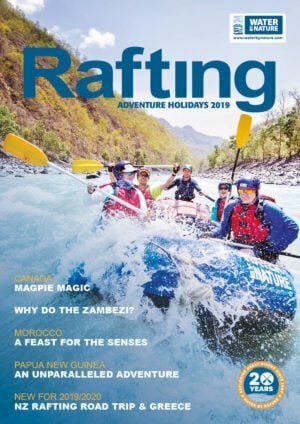 Our latest 2019 brochure with all the latest destinations and inside track from Water by Nature. Click the link below and fill out our online form to get your free, downloadable 2019 brochure. We use various 3rd party cookies to enhance the functionality of the website such as our live video assistance and acceptance of our cookie usage. Please be aware that disabling this cookie category could cause some functionality to not work as intended. You can disable this category below. We use Google Analytics to track your interaction with the website. If you want to disable this then please do this below.